How Much are Ultimate Rewards Worth in the Travel Portal? Are there Chase Travel Promo Codes? Is the Chase Rewards Portal the Best Way to Use Chase Ultimate Rewards? Decision Time: Travel Portal vs Travel Partners? There are two ways to redeem your Chase Ultimate Rewards for travel. Either through the Chase travel portal or with Chase transfer partners. Depending on what type of travel you want to book and how much it costs, you may or may not want to use the Chase travel portal. Sometimes you’ll get a better redemption rate through the travel portal and other times it will be better by transferring your Ultimate Rewards to airline and hotel travel partners. 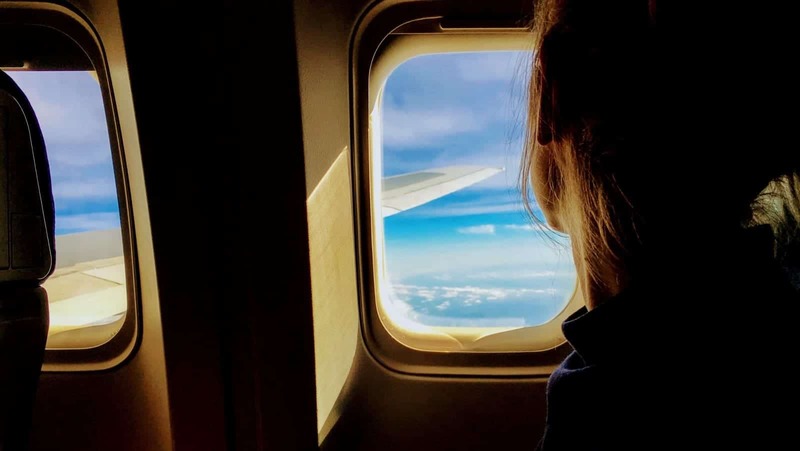 In this post, we’ll show you what types of travel can be booked in the Chase travel portal, when it makes sense to use the travel portal, and how to earn points to use in the travel portal. When inside the Chase travel portal, you’ll have six redemption options. The two most popular are flights and hotels, but you can also book car rentals, activities, vacation rentals, and cruises. Recently, I’ve found a lot of value in booking hotel rooms through the Chase travel portal. Through the Chase travel portal, you can book flights on 250 different airlines around the world. 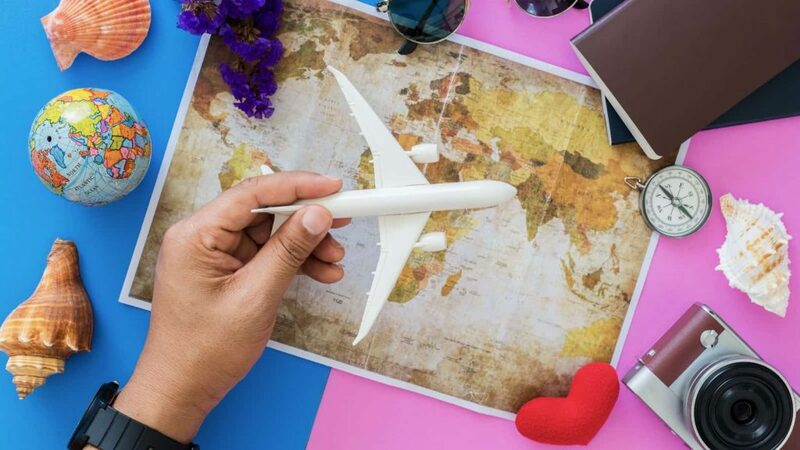 While it’s most often more beneficial to transfer your Ultimate Rewards to an airline to book, if you can find sale flights, you can get very good redemption rates in the travel portal. The Chase travel portal has an astonishing 272,000 worldwide hotels in their catalog. The largest of these hotel groups are Hyatt, Marriott and Hilton. Wherever you’re traveling, you shouldn’t have a problem finding a place to stay that is bookable in the Chase travel portal. I was recently searching for a hotel on the Oregon coast and had no problem finding an abundance of options. Booking hotels with Ultimate Rewards through the travel portal typically is a good option for non-luxury hotels. A hotel that costs $120 per night will only take 8,000 Ultimate Rewards. One of the worst parts about travel is booking car rentals. It seems that there’s no way to get a good deal unless you’re just very lucky. Renting a car through the Chase travel portal can make sense if the pricing is similar to other sources (Costco Travel & Hotwire) because you can get 1.5 cents per point on redemptions with the Sapphire Reserve. Otherwise, it’s smarter to book elsewhere for a better deal. The vacation rentals seem to be condos that are run by large companies. It’s different than what you would find on VRBO or Airbnb in the sense that the condos aren’t actually individually owned homes. This section of the Chase travel portal could be a good place to book a condo for family vacation where you want to prepare your own meals. The cruises section of the Chase travel portal actually takes you to a separate website. It looks like you can book cruises with Princess, Norwegian, and Celebrity but you have to call to book. Prices are listed in dollar amounts and range from $500 to $2000 per person, which should mean an Ultimate Rewards cost of about 33k to 133k points if you’re using the Sapphire Reserve. Depending on which Chase Ultimate Rewards credit card you’re using to book travel in the Chase travel portal, the value of your points will vary. Each of the Chase credit card accounts will have a set redemption value ranging from 1 cent per point to 1.5 cents per point. The secondary Chase Ultimate Rewards credit cards only have a redemption value of 1 cent per point, while the primary cards get a premium redemption rate. Points in Sapphire Preferred and Ink Business Preferred accounts can be redeemed at 1.25 cents per point. The king of value in the Chase travel portal goes to the Sapphire Reserve. Ultimate Rewards in a Sapphire Reserve account can be redeemed for the max value of 1.5 cents per point. To book any of the previously mentioned types of travel through the Chase travel portal, you’ll first need to login to your account. This will take you to the Chase Ultimate Rewards login page. You’ll then select “Travel” from the selections at the top of the page. From there, you’ll select which category of travel you want to book. The rest is pretty self-explanatory, searching for the exact flight, hotel, car, activity, condo, or cruise that you desire. In October of 2018, the Chase travel portal began using Expedia to power its travel booking. With the travel search engine changes come a few changes to the way Ultimate Rewards bookings work. The good news about this change is that Chase Ultimate Rewards customers now have access to more than double the travel options. Chase’s partnership with Expedia has opened up access to 272,000 hotels and 250 airlines, worldwide. Being powered by Expedia also lets you book 11 months in advance, which is 2 extra months. The bad news about Expedia powering the Chase travel portal is that they no longer have low-cost airline carriers. Frontier, Allegiant, Spirit, and even Southwest are no longer bookable in the Chase travel portal. Southwest is the worst news of those, as you were able to book flights directly with Ultimate Rewards (at a 1.5 cents per point rate with Sapphire Reserve) and later add a companion with your Southwest Companion Pass. People are always wondering if there are promo codes that can be used for Chase Travel. There are not. In the past, there have been a few promo codes that worked in the Chase travel portal, but there is no longer even an input box for promo codes. There are other types of promo codes that have to do with Chase, but not in the travel portal. You can read more about them in our Chase Ultimate Rewards promo code post. With Chase Ultimate Rewards, you have multiple redemption options. This is what makes Ultimate Rewards so valuable. They’re the most flexible points that you can get with a credit card. But, which option is the most valuable? “It depends”, of course. The answer to everything when it comes to travel points, it seems. Sometimes it’s more valuable to use the Chase travel portal and sometimes it’s more valuable to transfer your points to Chase travel partners. What it comes down to is how many cents per point your redemption will earn you. For instance, if you want to book a hotel room that is a Hyatt category 4 hotel in the World of Hyatt program, you have two options that use Chase Ultimate Rewards. It will take 15,000 points if you transfer your points to Hyatt to book directly. If that same room costs less than $225 (including taxes & fees) on the Chase travel portal, you’ll be able to book it for less than 15,000 points (with a Sapphire Reserve). For this reason, if the room costs less than $225 you’ll want to book in the Chase travel portal, but if it costs more, you’ll want to transfer points to Hyatt to book. Like in the example above, you can see that sometimes it’s much more rewarding to transfer points to a travel partner instead of booking through the travel portal. If a flight that costs $750 can instead be booked with 25,000 airline miles, it’s a far better option to transfer. In this example, using the transfer partner would earn a redemption rate of 3 cents per point. That’s double the redemption rate of using the travel portal, even with the 1.5 cents per point rate of the Chase Sapphire Reserve. Below are the travel partners that you can transfer Chase Ultimate Rewards to at a 1:1 ratio. All this talk about Chase Ultimate Rewards might have you wondering how you can earn some for yourself. There are seven credit cards that earn Chase Ultimate Rewards. Below are the four personal cards and the three business cards. They all have their own features and benefits that make them unique for earning points. Some of them even have some great travel benefits. 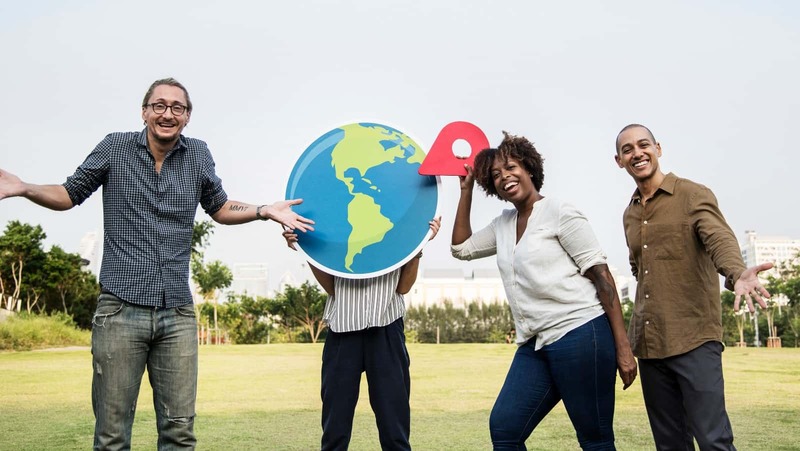 Now that you have all the details about the Chase travel portal and you’ve seen what Chase transfer partners can do, you’re ready to decide how to use your Ultimate Rewards. I suggest that when you are booking travel to check both options to see which is a more valuable redemption. In the past, I’ve made the mistake of not comparing. Come to find out I used 15,000 points when I could have used 9,500 on the same exact hotel. In certain situations, they can both be very good redemption options for your Chase Ultimate Rewards.